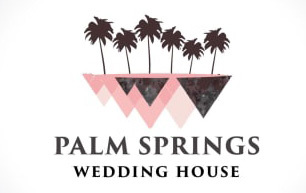 One of the things that is emblematic of Palm Springs is color and style. 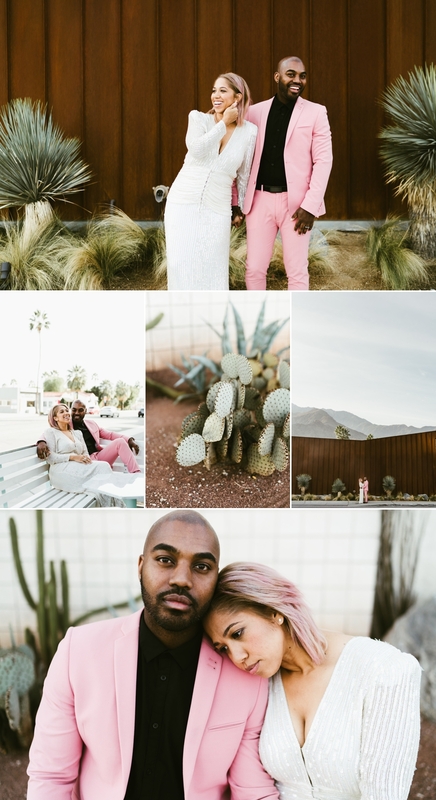 This is why we were beyond pumped when Kary and Tae over at The Times We Have sent over a stylish anniversary photo session that started at Arrive hotel and ended in the gorgeous Palm Springs desert. 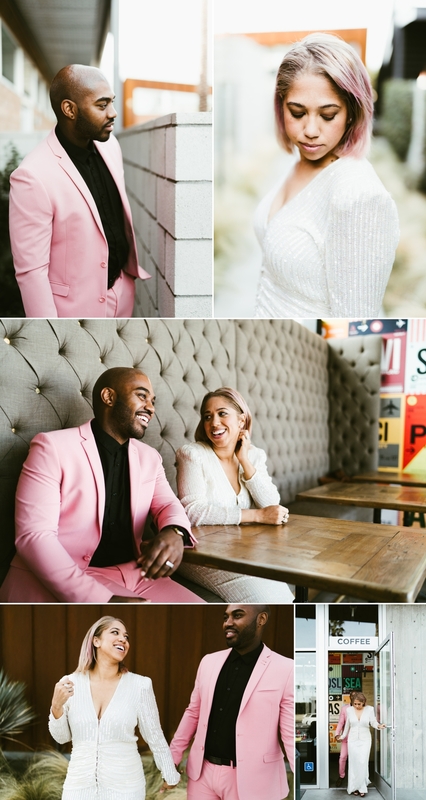 I mean when the guy is rocking a pink suit and the girl has pink highlights in her hair you know that the photos are going to be incredible. 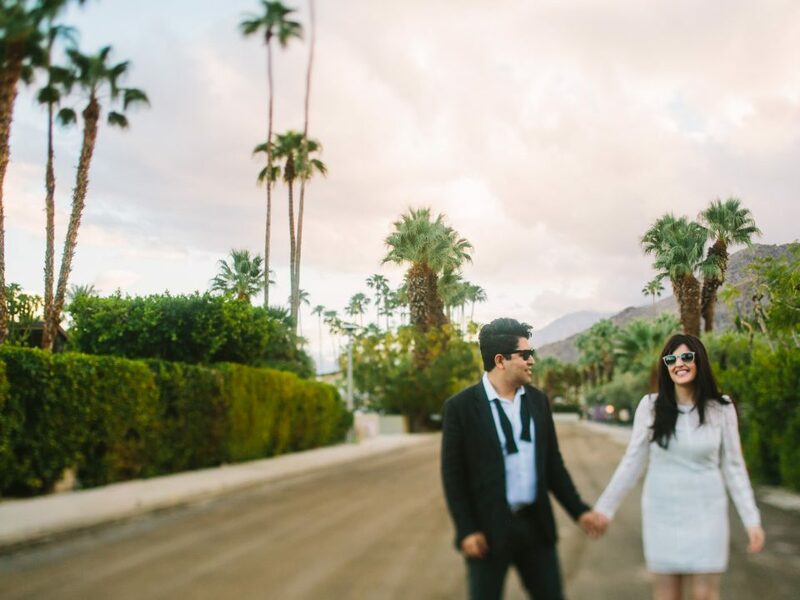 After snapping some photos at Arrive, Mallory and Latham did a quick outfit change before heading out to the desert. 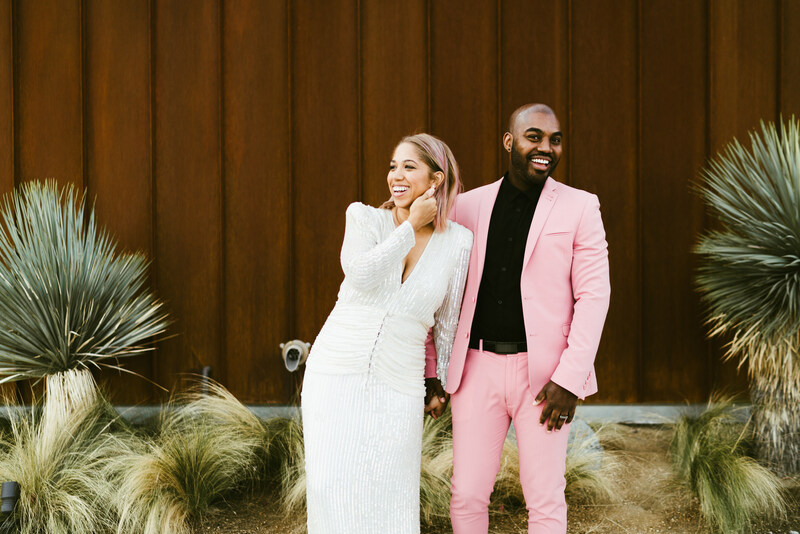 That is when this stylish couple took things up to another new level with some black patterned outfits that were pure fire. 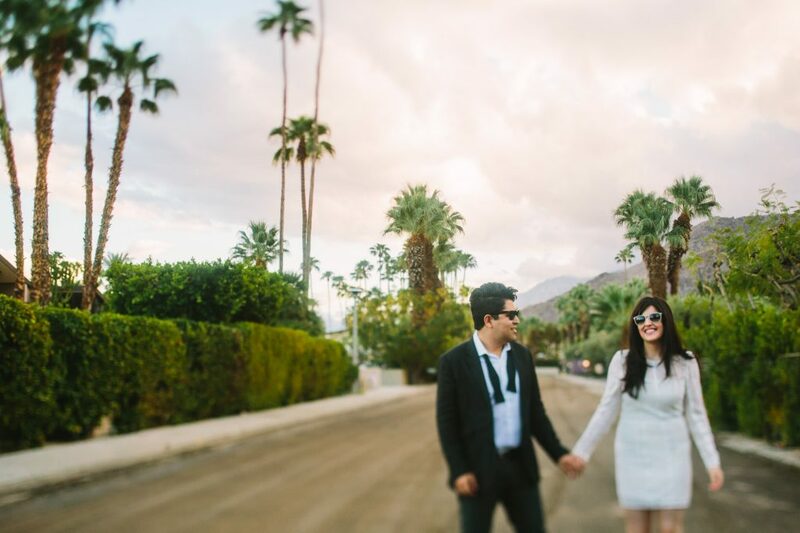 These two have seriously raised the bar when it comes to style in Palm Springs weddings, or any photo shoots! There is nothing worse than hearing a bride or groom talk about how unhappy they were with their wedding photos. 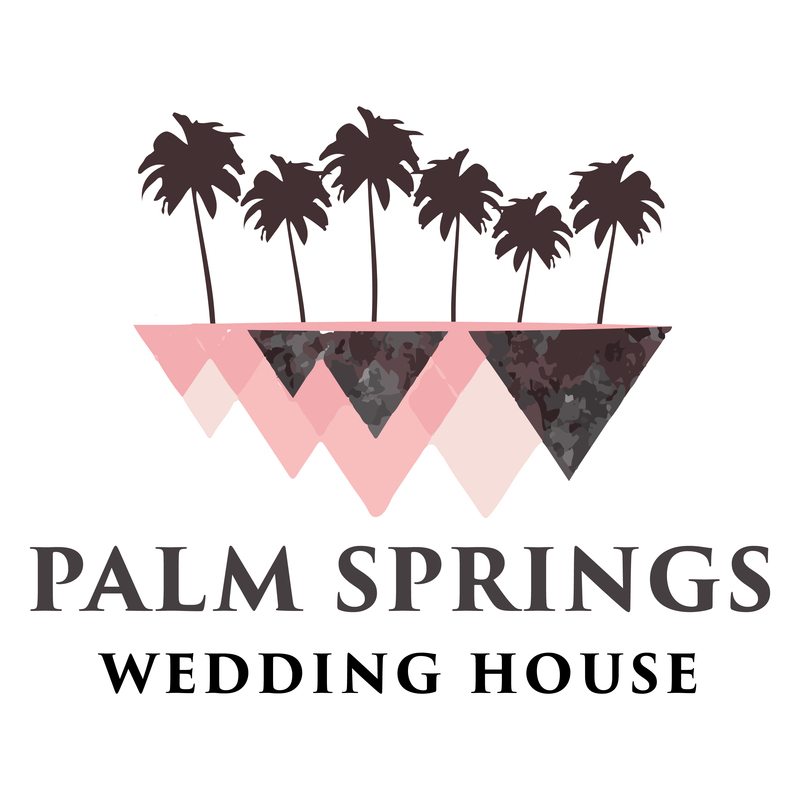 The good news is that even if a couple received wedding photos they were not happy about, every single year they have a chance at redemption! Anniversary sessions are that opportunity. So grab that funky dress, maybe rock that pink suit and go somewhere fun! Hire a professional photographer for an hour or two and have them capture you in all your style. 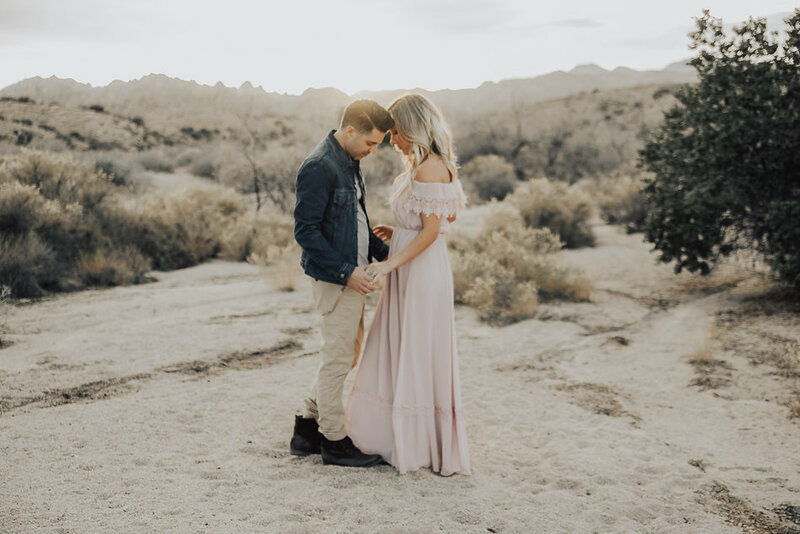 The Times We Have are Kary and Tae, a wedding photography duo based in Southern California and Mexico that has been shooting weddings for 7 years. Here are the faces behind the camera to tell you a little bit more about what drives them and keeps the fire burning when it comes to photography!